Sand, Wind and Stars - LRDG, 70 years on: A Classic Love Story. 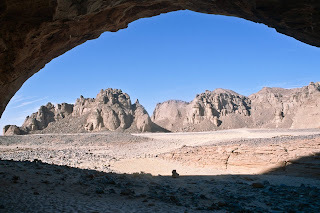 It has been suggested by Chris Scott, that perhaps we could screen a DVD of The English Patient whilst actually in the cave, in Wadi Soura, that the memorable scene is based. Kristin Scott Thomas, laid out on the rocks whilst her failing torch batteries act as a metaphor for her tragic death. Ralph Fiennes gallantly walking out of the desert to find a plane and rescue her. Wadi Soura is on the western edge of The Gilf el Kebir and we should, In-sh-Allah, be there on Tuesday 26th April. 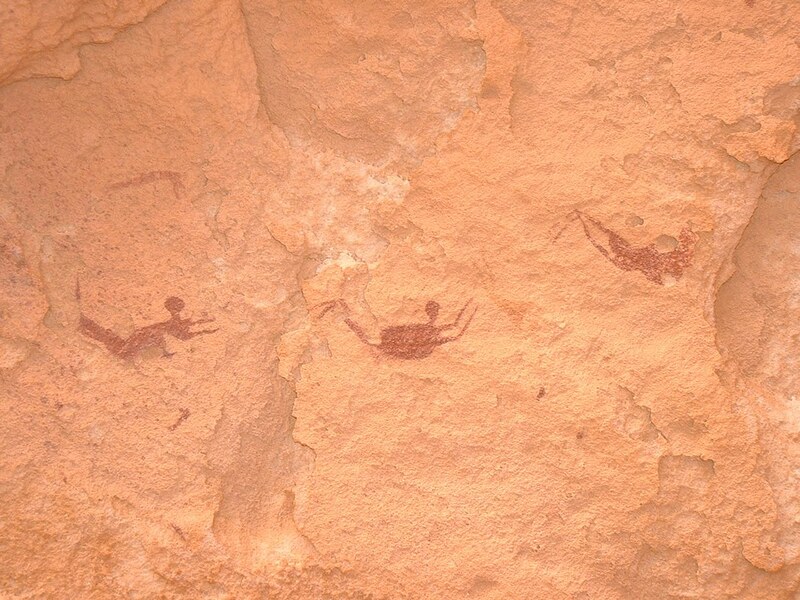 There are many red ochre paintings on the walls of the cave, depicting figures ‘swimming’. 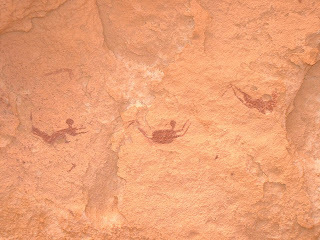 The high vertical cliff opposite would suggest that, far from swimming, they were in fact being hurled off the top in some ancient ritual. Still. No need to let a theory spoil a good story. 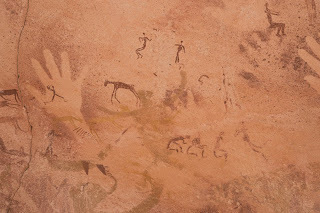 Chris has a new book out shortly Overlander’s Handbook. Indispensable to anyone with interests in this direction.